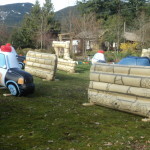 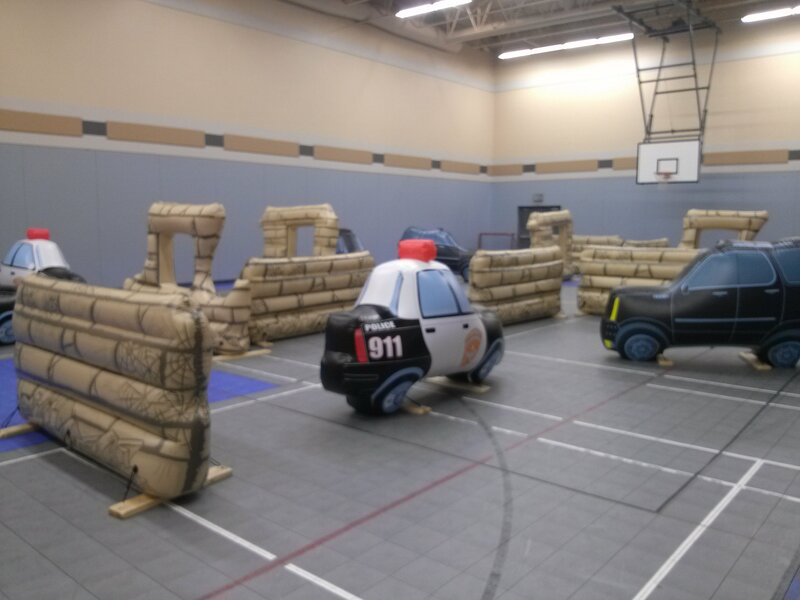 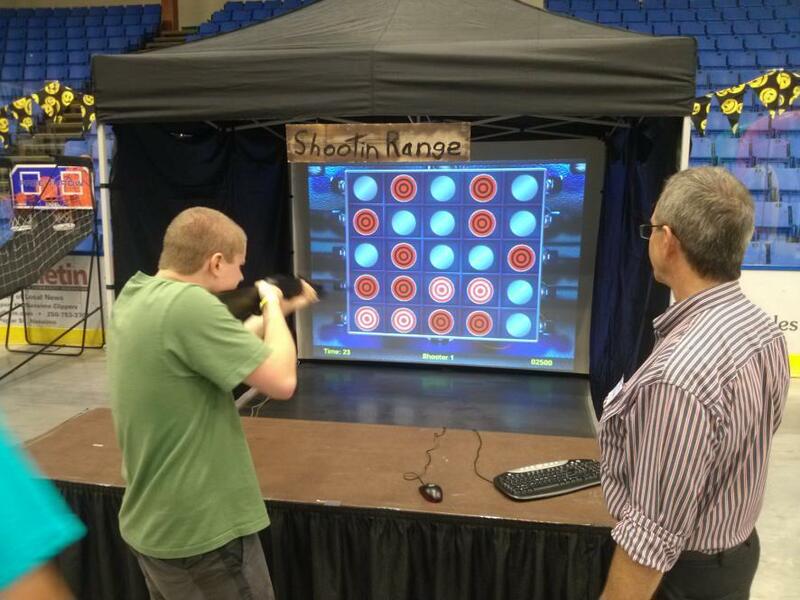 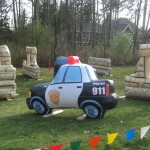 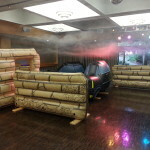 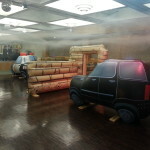 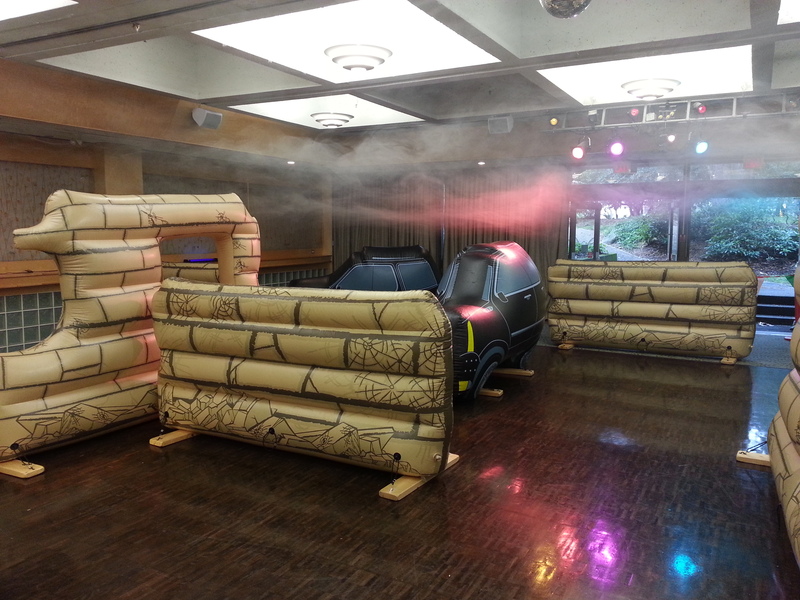 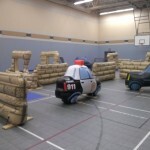 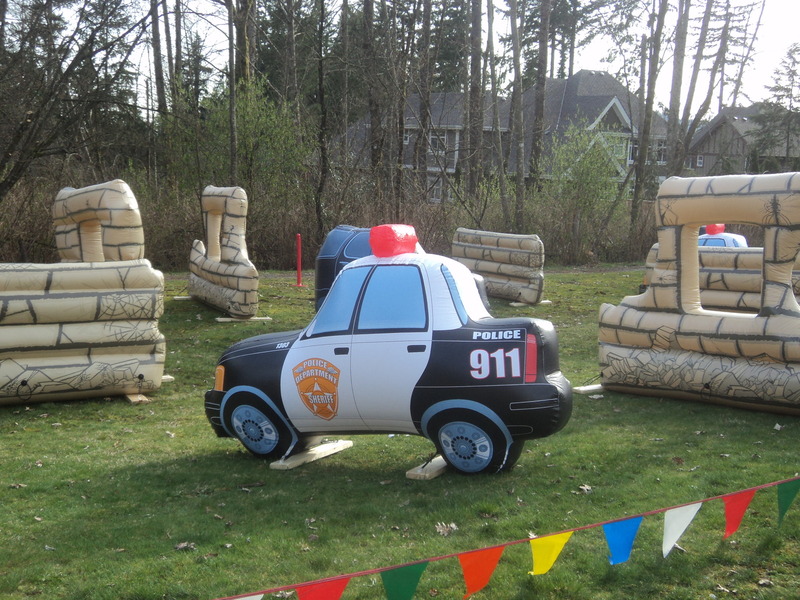 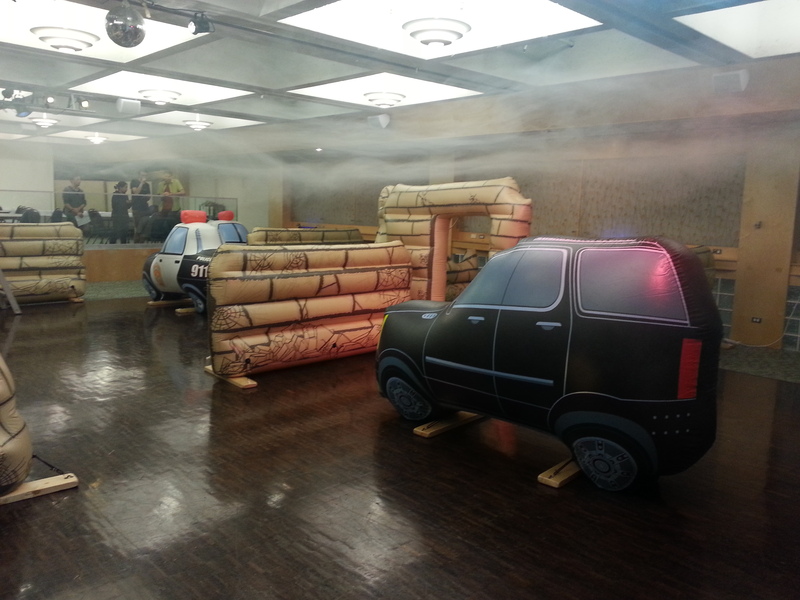 Try our fantastic cops and robbers style Laser Tag! 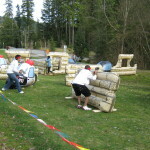 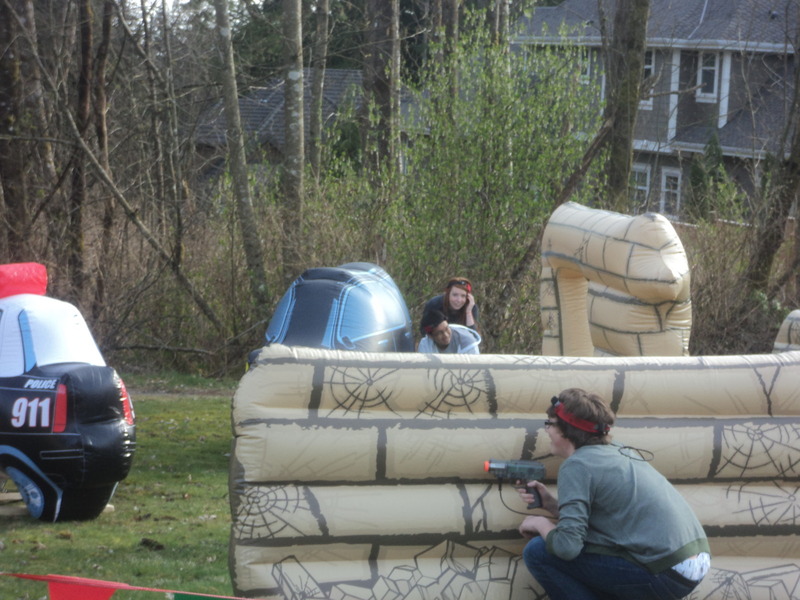 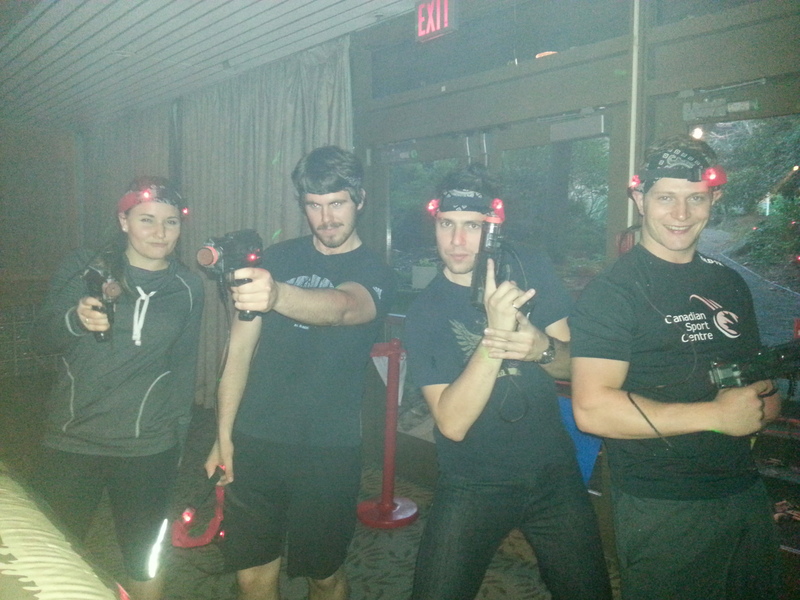 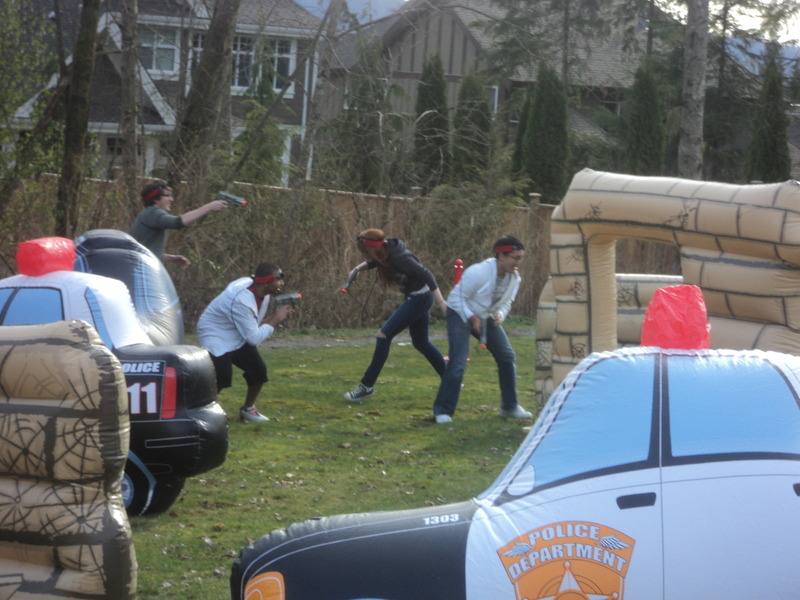 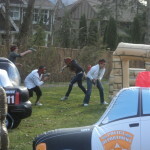 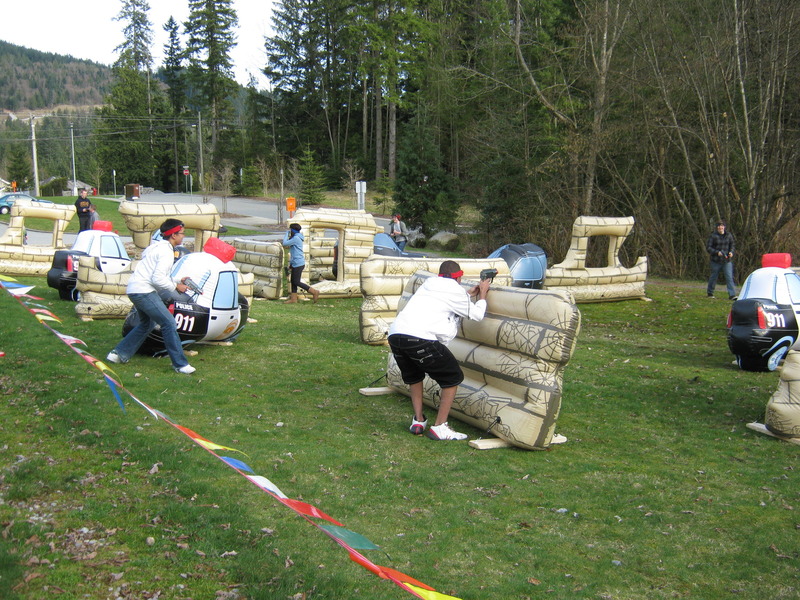 Two teams of four enter the laser tag course with laser tag guns, a laser sensor headband, and team arm band. 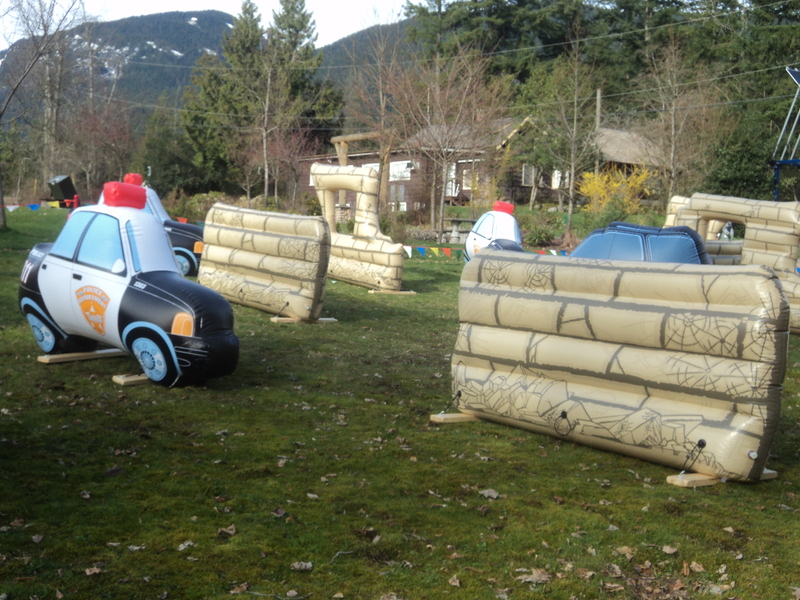 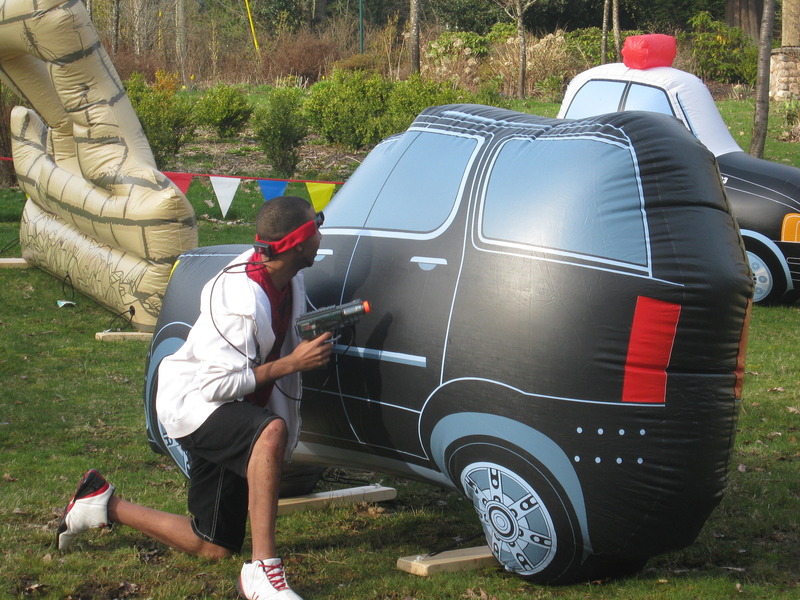 Hide behind inflatable cop cars, SUVs, and brick walls. 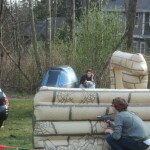 Shoot at the other team but don’t get hit! 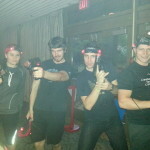 Once you are shot 10 times on either your gun or headband, your turn is done and you are eliminated. 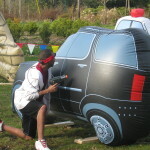 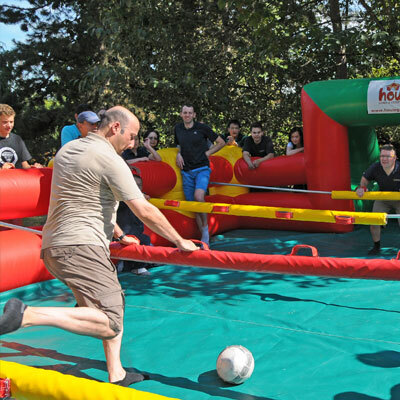 This game is action packed and everyone can watch since it the system isn’t an enclosed inflatable.